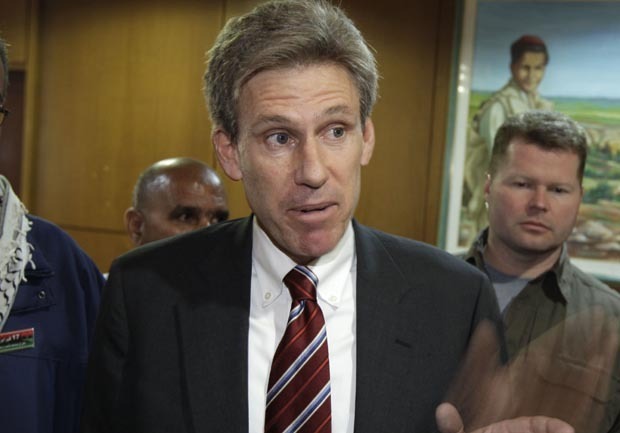 Libyan doctor: U.S. ambassador Christopher Stevens died of "severe asphyxia"
(CBS/AP) TRIPOLI, Libya - The Libyan doctor who treated U.S. ambassador Christopher Stevens says the diplomat died of severe asphyxiation and that he tried for 90 minutes to revive him. Ziad Abu Zeid told The Associated Press on Wednesday that Stevens was brought to the Benghazi Medical Center by Libyans the night before, with no other Americans and that initially no one realized he was the ambassador. Abu Zeid said Stevens had "severe asphyxia," apparently from smoke inhalation, causing stomach bleeding, but had no other injuries. Stevens, U.S. Foreign Service officer Sean Smith and two other Americans died when a mob attacked the consulate in the port city of Benghazi. The crowd fired guns and rocket-propelled grenades and set fire to the consulate. While the deadly assault was initially blamed on an anti-Islamic YouTube video, U.S. officials say the Obama administration is also investigating whether it was a planned terrorist strike to mark the anniversary of 9/11. Stevens, who had represented U.S. interests in the nation under two presidents and worked as a diplomat for more than 20 years, became the sixth ambassador in U.S. history to die in an attack, CBS News correspondent Nancy Cordes reports. He is the first U.S. ambassador to be killed since 1979, when Ambassador Adolph Dubs was killed in Afghanistan. "It's especially tragic that Chris Stevens died in Benghazi because it is a city that he helped to save," President Obama said at the White House.